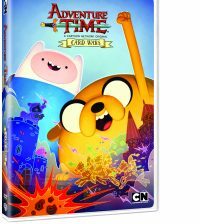 The Blu-Ray and DVD release of “Adventure Time” season 5 has officially debuted and once again it doesn’t let viewers down! 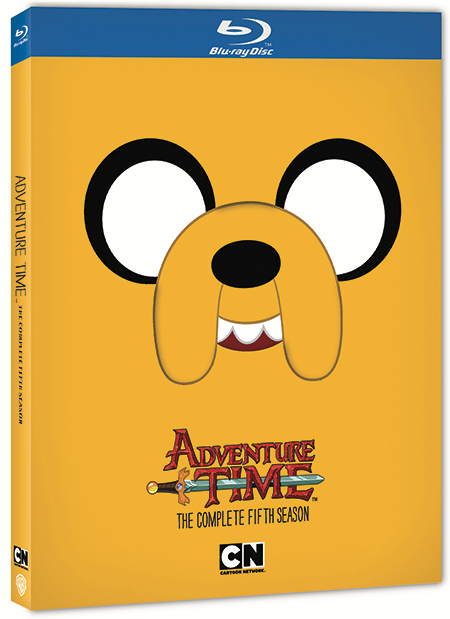 The fifth season collection includes all 52 episodes in a custom slipcase featuring everyone’s favorite magical dog Jake, adding to the collectible custom die-cut slipcases from the previous season releases. 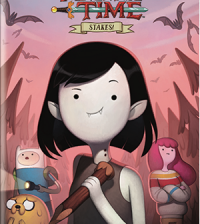 I can confidently say that “Adventure Time” has not hit a downslide yet. Every season continues to hold up the insanely witty and clever writing and iconic silliness that the fans love. Season 5 is no different. Over all, “Adventure Time” season 5 continues to ooze whimsy all over the place. You can’t go wrong with adding this Jake the Dog stylized season to your home DVD or Blu-Ray collection.